One hot August morning in 1892, Lizzie Borden picked up an axe and murdered her father and stepmother. Newspapers claim she did it for the oldest of reasons: family conflicts, jealousy and greed. But what if her parents were already dead? What if Lizzie slaughtered them because they’d become zombies? Thrust into a horrific world where the walking dead are part of a shocking conspiracy to infect not only Fall River, Massachusetts, but also the world beyond, Lizzie battles to protect her sister, Emma, and her hometown from nightmarish ghouls and the evil forces controlling them. Q. You saw his face covered with blood? Q. Did you see his eyeball hanging out? Q. Did you see the gashes where his face was laid open? Lizzie Borden drained the rest of her tea, set down her cup, and listened to the sound of furniture moving upstairs. My, my, for only ten o’clock in the morning my stepmother is certainly energetic. Housecleaning, already? For a moment, Lizzie forgot her plans to go shopping downtown. THUMP. There it went again. It sounded like her stepmother was rearranging the whole room. She paused at the bottom stair, her concern growing, when she heard another thump and then, the oddest of sounds—a moan. Uh-oh. What was that? Did she hurt herself? She wondered if her stepmother had taken ill, yet the shuffling, moving, and other unusual noises continued. Lizzie hurried up the stairs and paused outside the partially opened door. The strange moans coming from the room sent a shiver up her back. When she pushed the door open wider, all she could do was stare. Mrs. Abby Durfee Borden stood in front of the bureau mirror clawing at her reflected image. And what a horrid image it was! The sixty-seven-year-old woman’s hair looked like it had never been combed and stuck out like porcupine quills. Her usually spotless housedress appeared wrinkled and torn. Yet, that wasn’t the worst. Dark red spots—blood, Lizzie’s mind whispered—dotted the floor and streaked the sides, of the older woman’s dress and sleeves. Lizzie gazed about the room in alarm. The tips of Father’s slippers peeking out from beneath the bed also glistened with the same viscous red liquid. All that blood! What happened here? What happened? She gasped, which got the attention of Mrs. Borden, who jerked her head and growled. Lizzie choked back a cry of alarm. Abby’s square, plain face now appeared twisted and ashen gray. Her eyes, once bright with interest, stared from under a milky covering as if she had cataracts. She resembled a female version of The Portrait of Dorian Gray. Another growl and a moan, and the older woman lunged, arms rigid, her stubby hands held out like claws. Her stepmother shuffled forward, her steps slow but steady. She showed no emotion or sense of recognition. The only utterances she made were those strange low moans. Lizzie moved back even further, trying to keep out of reach of Mrs. Borden’s grasping fingers. Then her foot hit something. Lizzie quickly glanced down at the silver hairbrush that had fallen to the floor. Too late, she realized her error. Mrs. Borden said nothing and moved in closer. Her mouth opened and closed revealing bloodstained teeth. She didn’t. Instead, Mrs. Borden scratched and clawed at her. Lizzie leaned back, barely escaping the snap of the madwoman’s teeth at her neck. Lizzie’s slight advantage of being younger offered no protection against her stepmother’s almost demonic, inhuman strength. The older woman bit and snapped like a rabid dog. Lizzie struggled to fight her off and shoved her away, yet Mrs. Borden attacked again and again, her hands grabbing, her teeth seeking the tender flesh covered by Lizzie’s long, full sleeves. The two of them grappled and wrestled, bumping into the bedposts and banging into furniture. Lizzie yelped each time her soft flesh hit something hard. She felt her strength wane as the crazed woman’s gnarled hands clawed at her. How much more she could endure? Her cries for help came out hoarse and weak. “Em-Emma!” She tried again. “Help! Help me!” Lizzie knew her sister had come in late last night from her trip out of town. But if Emma already woke and went downstairs, will she even hear me? Lizzie reeled back in panic as her spine pressed against the fireplace. She pushed and fought in an attempt to keep this monster away, yet Mrs. Borden’s ugly face and snapping teeth edged closer and closer. Then Lizzie spotted it: the worn hatchet Father had left behind after he’d last brought in the newly chopped wood. No, no! Her mind filled with horror, but when her stepmother came at her again, Lizzie whispered a prayer for forgiveness and grabbed the handle. She lifted the hatchet high overhead and swung as hard as she could. It hit her stepmother’s skull with a sickening thud. As impossible as it seemed, Mrs. Borden snarled and continued her attack. Lizzie hit her again and again and again. The blows raked her stepmother’s face and scraped deep furrows into tender flesh. The metal hatchet head pounded her stepmother’s shoulders and arms, the bones giving way with sickening crunches. Mrs. Borden’s broken arms dangled, hanging limp and ugly at her sides… and yet, dear God, she continued her attack. With her last bit of strength, Lizzie raised the hatchet again, bringing it down on Mrs. Borden’s head. Only then did her stepmother crumple and fall into a pile at Lizzie’s feet. It took a few minutes for Lizzie to comprehend the horrible scene. It didn’t seem real, but it was. With a cry, she threw the bloodied hatchet aside. She gagged as the weapon caught in the braided artificial hairpiece hanging from the back of Mrs. Borden’s gore-encrusted scalp. Retching, Lizzie ran to the other side of the bed, bent over, and vomited into the chamber pot. She crossed the room and leaned against the wall, her shoulders shaking with each heart-rending sob. Her hands trembled so hard she could barely hold them still, but she managed to cover her eyes in a feeble attempt to block out the carnage. It didn’t stop the horrific images that flashed in her mind, or the many questions. And it certainly did nothing for the soul-crushing guilt that filled her. “Why?” she cried. “Why?” Dear God, what have I done? What have I done? I am a huge Lizzie Borden fan, so anything that even has her name on it is fodder for my obsession and this fit that bill perfectly, and zombies too? Well that was too good to pass up. The first book started out pretty normally, just like the events of that day - but the difference is that Lizzie comes upon her stepmother (or stepmonster as some people who follow the case would call her) in the bedroom and when she turns around Lizzie sees something unspeakable and has no idea what is happening. Abby Borden is SOMETHING, but of course you are reading the book and you have to consider that back in her day, they would have not even known what the word zombies was. Then of course her father has also turned and both of them are axed to death by Lizzie with the help of her sister Emma. Now if you follow the case, Emma was supposedly out of town at the time of the murders so she was never a suspect. What I love about this book is that every chapter starts with a REAL question from Lizzie's inquisition that she faced. And then follows a story about how Lizzie has to realize that although SHE and The Society as she comes to know them know of the zombies, no one else does and she is still seen as a murderer by the people. The difference is that her sister does not, she knows what really happened that day. But neither can say anything because The Society has told them they can have no part in the case or in the public eye. Soon the streets are filling up with zombies and even though the neighbors start to come out their doors, they don't seem to realize what is going on - but of course who would? In those days that was unheard of. I think that is what makes this series so great is that Lizzie becomes a heroine in her own right rather than someone who is looked upon as a possible murderess from the readers' perspective. I personally never thought Lizzie committed the crimes, but that is my own opinion. After being acquitted of brutally slaying her parents, Lizzie Borden thinks her nightmare is over—but it’s only just begun! Now Lizzie and the citizens of Fall River must battle a new surge of flesh-eaters, this time with a heartbreaking twist: the infected creatures are friends and family, hidden away by their grief-stricken caregivers. When her sister Emma becomes a pawn in the growing war against the undead, Lizzie has no choice but to pick up her axe again. With the help of her charming self-defense instructor, Pierre, she vows to end the horrific zombie menace, once and for all. But can she overcome her personal demons and the rampaging monsters, no matter the cost? 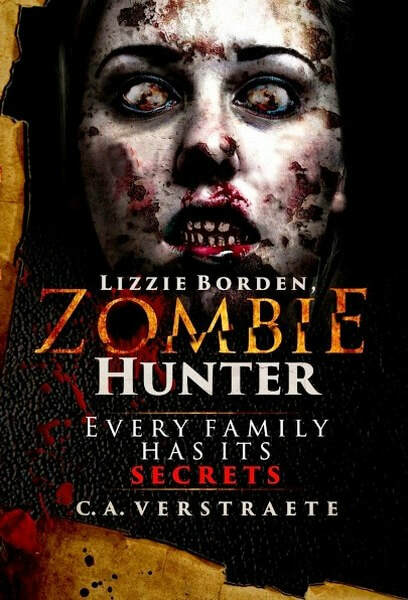 NOTE: The book does contain spoilers if you have not read the first book, Lizzie Borden, Zombie Hunter. Lizzie Borden sprang awake, startled by a sound she never expected, or wanted to hear again—a low, eerie keen that made her skin crawl and the long, straight hairs on her neck curl up into tight ringlets. The chaotic scene on the street below filled her with disbelief and horror. No matter which direction she looked, she saw pure evil—groups of the undead she’d truly thought were gone forever. They’d been vanquished—or so she’d been told. Who had lied? Then she had another unexpected, but this time much more pleasant, shock—seeing her former self-defense instructor Pierre Moret. As the monsters shambled closer, he stood a moment as if in contemplation before closing the wrought iron gate. He waved for her to come down and disappeared out of view by the front door. Why is he here? Why now? The ghastly roars and growls outside quickly made her realize it didn’t matter. Her panic rising, Lizzie threw off her nightwear and slipped on one of the old pair of bloomers she’d worn in previous fights. For some reason, she’d kept the costume in her armoire, though she’d expected to never, ever, be doing this again. So much for that, she thought. Or had I really believed it was over? She shoved her feet into sturdy black shoes, her worry level rising higher than the smoke spewing from the stacks of the numerous textile plants down by the river. Were these new masses of undead? Or worse—had those who’d been infected and hidden away secretly at home by family members managed to escape? A pounding on the front door made her move faster. “Lizzie, hurry, please, let me in,” Pierre called. She twisted the shiny gold lock and pulled the heavy oak door open. Her nose wrinkled at the sudden stench of rot and death that fouled the air. Pierre rushed in, pushed the door shut, and turned to embrace her. To her surprise, it felt like she’d seen him only yesterday instead of months ago. The low moans from outside made further conversation impossible. She moved closer to the door and peered out the window, her heart pounding as she viewed the motley mob of ghouls clamoring at the gate. She counted eight, ten, fifteen of the decayed monsters and saw more approaching. The bastion of quiet she’d enjoyed in the past few months since moving to the more prestigious section known as “The Hill” had been replaced by bedlam. She watched a group of men run into the street swinging axes, garden tools, and almost anything they could get, at the approaching foes. She turned away and wrung her hands, not daring to look at Pierre when he gave a snort of disgust. “No, no, I-I can’t do it. I can’t.” She inhaled sharply when Pierre reached out and spun her around. Her resistance faded as he pulled her near. She breathed in his masculine scent and the lingering musky, ambergris shaving lotion on his skin, wishing this was any other time, any other place. The horrific sounds of the undead made Lizzie’s skin crawl. Her first impulse, to let him and others take care of things, did battle with her innate sense of duty. She peered out the window again, relishing the satisfaction of seeing others out in the streets now, men with guns, women with garden tools. Even the neighbors who had turned their back on her were out doing their part to keep the monsters at bay. Let them handle it, she thought. Still, her feelings of obligation niggled at her. Yes, she’d trained for this. She had fought this fight before. She couldn’t let others do all the work for her. The first book in this series was good enough - I loved to read a new take on the old story of Lizzie Borden! It was just amazing and I LOVED the ending because it left me wanting more and it was clear there would be more. And now we have yet another story, kind of a second coming if you will :) Once Lizzie finds out from Pierre that the "tonic" was available as a recipe and literally ANYONE who had known about it could use it, Lizzie is not surprised when things begin again. This time though she can't blame her father or the other culprits from the first book so who is behind the uprising this time? Honestly I wondered about The Society and some of its' members, I was not sure that somehow one of them went rogue and used the tonic for their own benefit. Lizzie met quite a few new people such as Pierre - who was their trainer from The Society; as well as another Society member who gained her mistrust throughout the first book. I liked the juxtaposition of what we have been told about Lizzie, that she was self-centered and did not care for her sister Emma much nor anyone else against the Lizzie from the books, who has a great love for her sister Emma and puts her first. For example the men Lizzie meets; it is clear she cares for Pierre, but she decides that Emma needs him more so she attempts to stop herself from liking him. Unfortunately for Emma he is all about Lizzie, and it continues right into this book, although Lizzie fights it thinking that she is just not good enough or young enough for him. This book is set just a few months after Lizzie's trial has ended, only just a few days after the end of the first book, but the beginning of each chapter still has question from the trial or snippets from the news at that time, which is continuing to bring the original story into the nightmare of the books. 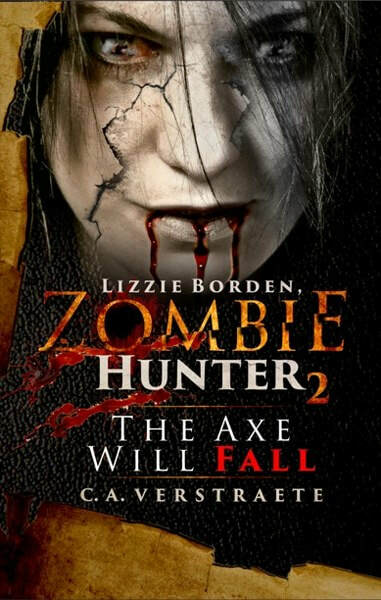 Lizzie is still a great huntress and zombie killer, but at the beginning of this book, she is just tired, she does NOT want to keep doing this. It needs to be over in her opinion. The one thing about these zombies is different - it seems that it's not a virus, but a recipe that causes the issues - even though they are still "contagious" with their bites. And the reader can almost smell the nastiness that Lizzie and corporation get a whiff of every time zombies are around. This is different because I read and watch EVERY zombie show I can imagine and I have never read about such a horrible stench being present and alerting the fighters to the presence of the zombies. Normally I have heard of the noise of their shuffling and all of that, but in these books it is clear that their smell is the best indicator of their presence. However, the book is VERY graphic about what the scene is, so please be aware of that before reading it. Very gory and I love it, but not everyone does. Unfortunately for me, this book made me sad from the beginning, but you have to read it to find out why that is. But it's clear that someone is using Lizzie's father's name to do the dirty deeds and carry on this horrifying circus. And when Emma goes missing, Lizzie has to search even harder and faster to find her sister. I must say that although to tell anything else would be to give away GREAT spoilers, I was utterly shocked at the outcome at the end of this book and who was involved. It is completely unexpected! Yet another great read, I am actually hoping for another book even though it appears to be over. Another 5 star read in my opinion :) Must read for any zombie/historical fiction lover! Christine (C.A.) Verstraete enjoys putting a little "scare" in her writing. She follows the murder trial and offers a twist on the infamous 1892 Borden murders in her book, Lizzie Borden, Zombie Hunter. She also looks at the murders from the viewpoint of Lizzie's doctor in her latest, The Haunting of Dr. Bowen. Other books include a young adult novel, GIRL Z: My Life as a Teenage Zombie, and books on dollhouse collecting and crafting. Christine's short stories have appeared in various anthologies including: Descent Into Darkness, Happy Homicides 3: Summertime Crime, Mystery Weekly, and Timeshares, Steampunk'd, and Hot & Steamy: Tales of Steampunk Romance, DAW Books. She is an award-winning journalist published in daily to weekly newspapers, and in various magazines. 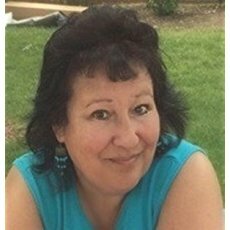 Her stories have received awards from local and national newspaper associations, and the Dog Writer's Association of America. Thank you Erika! I absolutely love the covers too! Wow, thanks for the great reviews. I'm glad you enjoyed them. And Erika thank you too. And there is a side story I have to publish yet... Who knows, maybe Lizzie even has another outing in her... I have a few ideas!! Thanks again for the post and reviews! Erika - did you post reviews on Amazon for both books? If you did, they got taken down. Did they notify you? The Code by Alison Clifford Official Book Tour!